Glass is the best eco-friendly material. It is not harmful to the environment (chemically inert) and is reusable for an unlimited number of times. However, abandoned glass bottles decompose only after 4,000 years. This is why it is essential to separate accurately glass at home, at school and at work, to be able to re-use them after. In Italy, the glass industries produce each year more than one million tons of glass using also the one coming from recycling. Obviously, the so-called "cullet" cannot be recycled the way it is, but it has to undergo multiple tests in order to eliminate the numerous "impurities" (that include paper, plastics, ceramics, ferrous and non-metallic materials). ECO-RICICLI VERITAS takes care of this crucial function and its plants in Fusina and Musile di Piave (both in the Venice province) are considered the main centers not only in Italy but also in Europe. 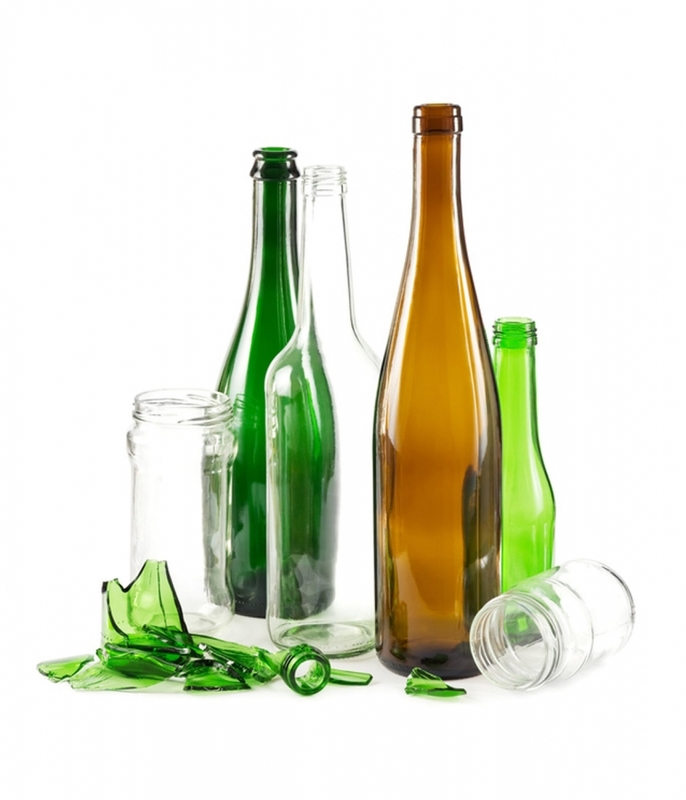 This document is a summary of the results of a pilot project conducted by Veritas-Eco-Ricicli, with the technical support of Divisione Energia, for the certification of the traceability of the recycled glass deriving from recycling. The paper also shows the results of the energy analysis of the selection plant of multi - material waste of Eco-Ricicli, which was started in order to improve efficiency and to reduce energy consumption of the production situation operating in Triveneto. The project contributed to the materialization of the energy audit conducted at the selection plant of Fusina, a study designed to reduce process costs and decrease atmospheric emissions of pollutant substances, which derive from the combustion of fossil fuels, identifying also possible technological and administrative interventions aimed at improving energy efficiency of the entire site. Voluntarily and according to the most advanced European environmental policies, Veritas has developed and realized an original experimental project on the traceability and certification of recyclable material resulting from the recycling of urban waste. This is considered an act of transparency for the citizens and, at the same time, an important tool to control the management of an important industrial process in the general context of the whole cycle of urban waste. This path has allowed on one hand the implementation of a system of supervision and verification of the chain of glass recycling, and on the other hand to obtain precise information on the effective recoverability of the material collected by the citizens. Detailed information have been acquired on the different phases of the plant, beyond the important indicators of the plant profit, which also allow to ensure to users and authorities who use Veritas services, the certainty of the destination of the waste collected separately. The project involved two municipalities of the town of Venice: Chirignago-Zelarino and Favaro Veneto. The traceability of all stages of the production chain and the certainty of the collected data have been guaranteed by the application of the technical specifications, the key document of the project, validated by an outside certification authority. This document defines the methodology of monitoring activities, data collection and calculation of the indicators. The data collected in the various stages of the production chain have been included in a monitoring plan and used for the calculation of summary indicators, which are needed to control all stages of the production chain. In the first phase of acceptance, the analyses of the products are carried out on the multi-material entering the plant: data that leads to the issue of a greater awareness of the citizen to the proper implementation of waste recycling. The selected glass that exits from the Eco-Ricicli plant is transported to Ecopatè for the following refinement of the material. The glass sent to the plant is treated to produce glass ready for furnace. The remaining material consists of grains of glass, production waste, ceramic and porcelain. All the oven-ready glass in input is used for the production of new glass with a considerable saving both in terms of raw materials and in terms of energy. A substantial difference between the amount of waste expected and the amount of multi-material actually collected from the two municipalities results from the analysis of the data collected during the reporting period. A significant data is also the amount of good glass not intercepted by the glass chain and the high percentage of waste material present in the multi-material conferred by the citizen in the appropriate container. It is also shown how the product analyses done in the acceptance phase of the multi-material give an accurate indication of the quantities of ceramic, porcelain and different glass found in the material providing a lower value than the real data with respect to the amount of good glass found in the manipulated waste. It is also interesting to notice the performance of the process of selection and refinement that gives an indication of the amount of the collected material than can be actually used to make new glass. Eventually it is important to notice that the use of 80% of glassy fragments in the batch leads to 25% of energy economy and to 40% of emissions decrease of CO₂ compared to the usage of raw materials only. The results of the traceability of the production chain originate from indicators calculated with the data collected in the experimental phase. In this context, we dealt only with material coming from the two municipalities of Chirignago-Zelarino and Favaro in the different plants involved in the recovery of the glass material. Veritas has decided to treat separately the multi-material collected in the two municipalities with the purpose to trace the material given by the citizens of the area under study and to show that the waste, if put in the proper containers, is actually re-used to produce new bottles. In order to obtain the required quantity for the processing at the plant selection, the waste has been collected and stored in a dedicated area of the plant of Eco-Ricicli for about 6 months. If on one hand this choice has made it possible for the selection line to work in the best operating conditions and not to mix materials of different origin, on the other hand, it has affected the quality of the treated material. In fact, the storage of the waste for such dilated time increases in fact the impurities on the waste and decreases the performance of the entire process. The poor quality of the waste was detected especially in the refinement phase: in order to produce the amount needed of glass ready for furnace it is necessary for the furnace three re-processing cycles in the Ecopatè plant with a consequent loss in the performance. The results obtained are accurate and certified by a third body but they are not representative of the actual performance of the standard recovery process. They refer in fact to unusual ways of working which were implemented in the experimentation period with the purpose of tracing exclusively the material coming from the municipalities of Chirignago-Zelarino and Favaro Veneto object of experimentation. Therefore it is observed that the performance of the processes carried out in standard operating conditions are significantly superior to those obtained in the testing phase, so the amount of glass actually recovered is considerably higher than that recorded from the study. Eventually the substantial energy savings used in the recovery process should be emphasized, as also the resulting reduction in CO₂ emissions compared to the production of glass from raw materials. The project of the production chain traceability does not stop to the period of experimental reporting but it will continue to provide information on the activities conducted in the supply chain, allowing accurate supervision to the various phases of the waste in order to improve continuously the entire process.